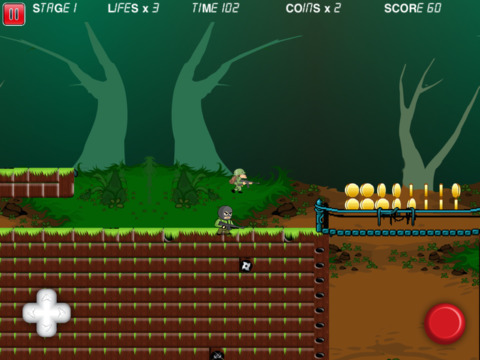 Are you searching for a game that's fun for everyone and a touch of old school? Like any good traditional game, you're on a path but things just keep getting in your way. It's up to you to get around them and keep moving on! 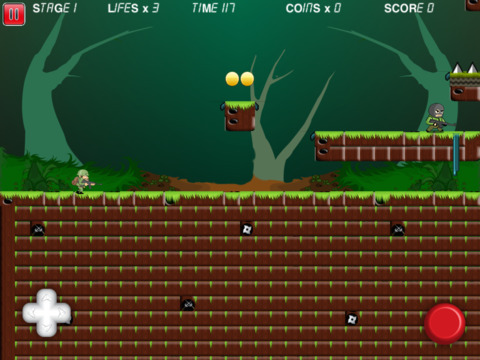 Jump on the ledges, jump over the objects coming your way, and collect the points. It sounds easy, right? It's not as easy as it might appear! Make sure you avoid any traps and don't get killed because there's always something trying to stop you. Easy controls allow you to run through the game, and touch the screen to jump. Jump high, though, or you might get slayed! There are also some helpful objects that will give you a boost along the way if you use them properly. With fun, stimulating graphics and an easy interface, this is a great game for all ages to enjoy. With many fun levels, just keep playing until you've mastered them all!